USE COUPON CODE FREESHIP for free domestic U.S. shipping. 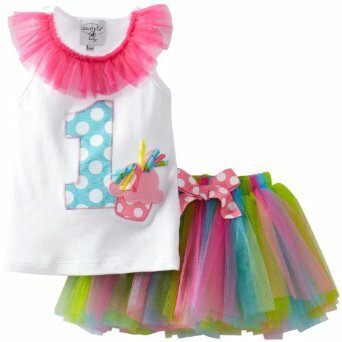 She will be the life of the party in this 2-piece dress set that includes multi-colored tutu and tank with chiffon trim and number 1 applique. Perfect for 1st Birthday!